Hi there! Steelrattus again, on day 9 of his 10 day guest stint. 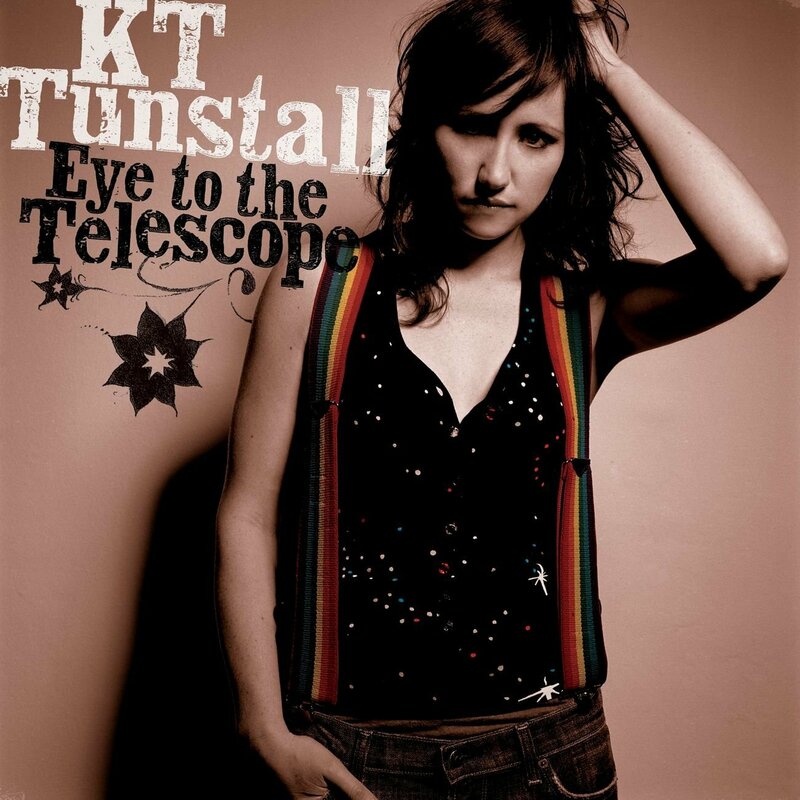 Today’s album is KT Tunstall’s Eye to the Telescope. I have blogger’s block at the time of writing this, so apologies if this comes across as me being a bit less involved than usual. KT Tunstall first came onto the music scene in her 20s, between the late nineties and early noughties. She played in a number of bands, but then released her first solo record (this one) in 2004. She has subsequently released three studio albums, a handful of live and other special albums, and some singles for films. As mentioned, Eye to the Telescope was released in 2004, although I had Tunstall on a hook that said “hip 90s music that I’m not cool enough to like”. I’m not quite sure what genre I’d put it in, and I couldn’t spot any classification on Wikipedia. It’s kinda folk-y, with a somewhat stripped down sound. The album has pretty good critical reviews. It yo-yo’d around the album charts for months, reaching a peak of No. 3 when Tunstall was nominated for a Mercury Music Prize. It sold 1.5 million copies in the UK, and over 2.5 million worldwide. Again, this album isn’t quite my cup of tea. I wouldn’t be too pained to listen to it, but I wouldn’t go out of my way to. I do recognise one of the tracks, which was presumably released as a single, or got some airplay. As always, YMMV.